When it comes to the labor market, it seems the tide is starting to turn. After years of conservative hiring plans, many leaders are once again looking to increase their headcount to meet rising demand. This is a critical moment for organizations, as we are more aware than ever that the success of an organization relies on the talent within it. This past week I was in Milwaukee for a series of senior leadership meetings. A key topic of our meetings was around the continued transformation of the business to one that can operate as a “fast and agile company”. This week’s quotes are from a presentation one of my colleagues gave in those meetings around the importance of developing a “culture of change”. They struck me as worth sharing with you, as I have always embraced the concept of change. Change is never an easy thing. And yes, there must be a balance to how much change you push. But in truth, change is necessary. Innovation cannot occur without change…without challenging the status quo. Without it, organizations are doomed to gravitate toward mediocrity. I can recall past resistance to change in many of the organizations I’ve worked for and with – be it technology, new processes, or simply changes to the organizational structure. “Stop changing things and let us catch our breath”, and “why would we need to do that…we already have a good process” were two of the many responses I recall. But looking back, there is no question those changes were beneficial to those organizations. By now you are beginning to see a theme emerge around innovation as an “institutionalized” process for organizational success. I’ve been saving this leadership quote for a few months now because I believe it speaks to the concept of innovation, particularly the importance of perspective when driving innovation. What I love about this quote is how it chains the importance of starting with perspective if you hope to end with answers. So let’s speak to the concept of perspective. So what does perspective have to do with innovation, solving problems, or gaining answers? The answer is: everything. Relevance. Relationship. Priority. Point of View. Before you can even begin to develop ideas that lead to answers, you have to gain perspective and clarity on the issue. Think of how Apple has revolutionized the MP3 player, cell phone, and tablet market. To be fair, they didn’t invent any of these devices. The iPod, iPhone and iPad are all variants of technology that existed far before Apple created them. But what Apple focused on almost entirely was perspective. The perspective of their user. How their customers would consume information. How their customers might use their products. So they had to put themselves in the shoes of that customer. They had to start with perspective. And I think we’ll all agree, Apple products are cool because of “how” you use them. Because of how they interface with you. This is why it was so important for an organization to institutionalize innovation across the company. Each of you has a unique perspective. Many of you work directly with and beside your customers. And in doing so you gain perspective – the perspective of those customers. That is so important. For any business to successfully deliver on the promise of its offerings it must start with that perspective. Today I would like to talk about the importance of failure in ensuring an organization’s long-term success. Yes, failure! I’m guessing you didn’t expect leadership to talk about the importance of failure as part of a weekly Leadership Quote segment. But the truth is failure is a necessary component of success. Through failure we learn important lessons necessary to achieve success. We gain the wisdom needed to improve and become successful. I’m sure most of you have heard of the vacuum cleaner brand Dyson. The Dyson vacuum cleaner is one of the best performing products in its industry. Why? Because of the revolutionary way in which it works. Instead of using vacuum cleaner bags, it uses a vortex process that “spins” the dirt through the machine, allowing the air to circulate through while dropping the dirt down into the catch basin. As a result, the product works far more efficiently than any other in the market because it doesn’t lose suction or get clogged up. 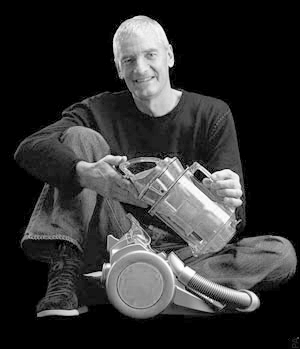 But did you know that Sir James Dyson, the inventor and founder of the Dyson vacuum cleaner company, tried unsuccessfully 5,127 times before he succeeded. HE FAILED 5,127 TIMES!!! Now, before you run off and say “well, Kip told me to go fail”, let me clarify my point. Many businesses today don’t have the luxury for everyone to go off and fail 5,127 times. But what they should have is a culture that is willing to recognize its failures and improve on them. One that says, “Nope, that didn’t work. Let’s try something different.” One that recognizes our failures are its best opportunities for succeeding. Does your culture embrace failure as a necessary step towards success? Are your fellow team members encouraged to innovate, to take risks, and do drive for new and creative solutions to meet your customer’s needs? More importantly, do they operate in an environment suited to support failure as a necessary evolution toward success? Steve Jobs’ impact on your life cannot be overestimated. His innovations have likely touched nearly every aspect — computers, movies, music and mobile. As a communications coach, I learned from Jobs that a presentation can, indeed, inspire. For entrepreneurs, Jobs’ greatest legacy is the set of principles that drove his success. Do what you love. Jobs once said, “People with passion can change the world for the better.” Asked about the advice he would offer would-be entrepreneurs, he said, “I’d get a job as a busboy or something until I figured out what I was really passionate about.” That’s how much it meant to him. Passion is everything. Put a dent in the universe. Jobs believed in the power of vision. He once asked then-Pepsi President, John Sculley, “Do you want to spend your life selling sugar water or do you want to change the world?” Don’t lose sight of the big vision. Make connections. Jobs once said creativity is connecting things. He meant that people with a broad set of life experiences can often see things that others miss. He took calligraphy classes that didn’t have any practical use in his life — until he built the Macintosh. Jobs traveled to India and Asia. He studied design and hospitality. Don’t live in a bubble. Connect ideas from different fields. Say no to 1,000 things. Jobs was as proud of what Apple chose not to do as he was of what Apple did. When he returned to Apple in 1997, he took a company with 350 products and reduced them to 10 products in a two-year period. Why? So he could put the “A-Team” on each product. What are you saying “no” to? Create insanely different experiences. Jobs also sought innovation in the customer-service experience. When he first came up with the concept for the Apple Stores, he said they would be different because instead of just moving boxes, the stores would enrich lives. Everything about the experience you have when you walk into an Apple store is intended to enrich your life and to create an emotional connection between you and the Apple brand. What are you doing to enrich the lives of your customers? Master the message. You can have the greatest idea in the world, but if you can’t communicate your ideas, it doesn’t matter. Jobs was the world’s greatest corporate storyteller. Instead of simply delivering a presentation like most people do, he informed, he educated, he inspired and he entertained, all in one presentation. Sell dreams, not products. Jobs captured our imagination because he really understood his customer. He knew that tablets would not capture our imaginations if they were too complicated. The result? One button on the front of an iPad. It’s so simple, a 2-year-old can use it. Your customers don’t care about your product. They care about themselves, their hopes, their ambitions. Jobs taught us that if you help your customers reach their dreams, you’ll win them over. There’s one story that I think sums up Jobs’ career at Apple. An executive who had the job of reinventing the Disney Store once called up Jobs and asked for advice. His counsel? Dream bigger. I think that’s the best advice he could leave us with. See genius in your craziness, believe in yourself, believe in your vision, and be constantly prepared to defend those ideas.